It’s been a while since I’ve written about hair accessories. It is great to be able to pull out some fun thingies in your arsenal of options to keep from getting bored out of your skull with your hairstyle. I find that most of my clients who don’t use hair accessories simply don’t know how to use them in a creative way. Well, I have good news for those of you who are in that “I don’t know how” boat. Jaime Byrd was kind enough to send me a heads up about her new videos featured on her hair accessory website. Jaime has produced a line of hair accessories that are hand crafted in her studio in North Carolina that are fun and unique. But what stands out about her site is the neat way she has used “how to” videos to walk you through the step-by-steps on exactly how to create a unique hairstyle with hair accessories. Don’t miss it. If you haven’t experimented much with hair accessories, it just might be the boost you need to step out of the box and create a new look. A couple of years back at the Golden Globe ceremonies, Nicole Kidman, Charlize Theron and Beyonce were seen with hair accessories, once again giving credibility to a classic fashion secret that has been around for decades. Several times a week, this time of year, I need to get my hair up off my shoulders, either when I’m active, at the beach or at a pool party. Summertime is an especially good time of the year to remember the versatility of hair combs, headbands, silk flowers, hair clips, hair sticks, hairpins, barrettes, hair magnets, snaps and French pins. 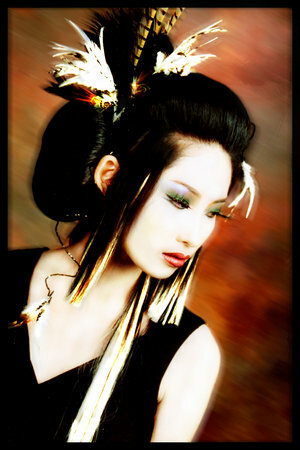 Hair Sticks Make Captivating Hair Accessory! April 25, 2012 By: Barb Quinn Hairstyle Blog Leave your comments (0), Your input matters.